Since its inception, the Tesla automobile has garnered much media attention, some good and some bad. Perhaps the most tragic was the news last summer of a man involved in a fatality accident with an 18 wheeler that crossed the median on a Florida highway. The accident occurred while the car was in Autopilot mode. Still in beta testing, Autopilot transfers virtually every element of the driving task from the driver to the car itself. However, just because the car is in control, it does not diminish the need for vigilance on the part of the driver. In fact, the Autopilot program itself reminds drivers of that fact whenever it is activated. The National Highway Traffic Safety Administration conducted an investigation into the Florida accident. It was found that the last action of the driver was to set the cruise control to 74 mph and that he had as many as seven seconds to respond to avoid the accident. While seven seconds doesn’t seem to be much time, at 74 mph, the car traveled nearly 780 feet, the equivalent of over 2 ½ football fields. While there is debate as to why the car did not recognize the threat of the oncoming truck, there is little argument to support that the driver would have had enough time to react, had he been paying attention. The advent of self-driving cars and their rapid implementation has spurred much conversation. One of the main questions discussed is whether or not a car, ostensibly operating on its own, would provide a safer experience than a human behind the wheel. Statistically, in terms of fatalities, cars equipped with driver assist features to provide a safer experience. According to Tesla, Autopilot has been tested for more than 130 million miles with only one fatality. By comparison, without these technological advances, a death occurs every 94 million miles in the US and only 60 million miles worldwide. It is unclear what the driver of the Tesla may have been doing in the seconds before his crash, but distractions are just as hazardous in cars without driver assist technologies. Obviously, one of the greatest temptations to distraction comes in the form of a cell phone. It has been found that the sending or receiving of a text message can take a driver’s eyes off the road an average of four seconds. At only 30 miles an hour, a vehicle travels at a rate of 44 ft./s and the average sized car will require 60 feet to stop. If the danger presented has a four-second head start, the stopping distance will increase to 236 feet provided the driver starts braking the instant they turn their attention back to the road. This is far too great a distance for the driver to avoid an instruction, a car braking suddenly in front of them, much more tragically, a pedestrian. 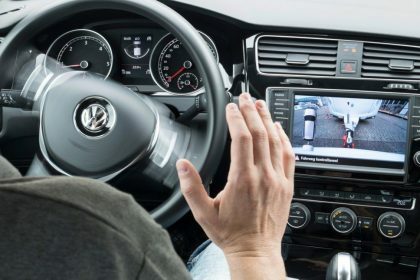 So, essentially, the bottom line is this: assistive technology or not, it still remains the driver’s responsibility to ensure that a car is operated safely.